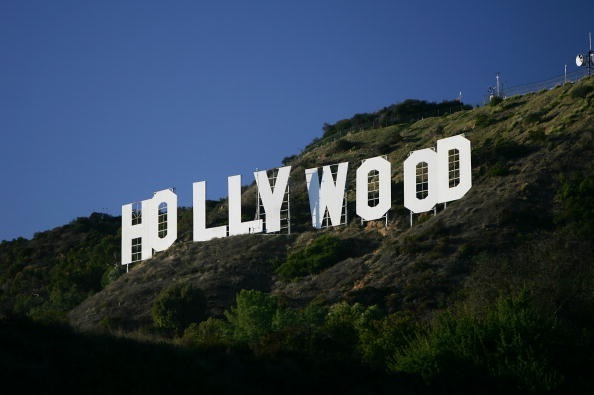 Talk-radio host and friend Chris Plante recently made an excellent point about Hollywood. As horrible new revelations of sexual misbehavior surface about former Les Moonves, it's highly unlikely anyone's going to make a movie about him, or about Matt Lauer, or Charlie Rose and so on. But there are two fictional projects (and a new documentary) supposedly based on the late Fox News boss Roger Ailes. Early pictures have emerged of actress Nicole Kidman dressed up to look like former Fox News morning host Gretchen Carlson, who played a major role in exposing a culture of sexual harassment of women at Fox. For her part, Carlson isn't a fan of the pictures or the movie, tweeting: "This looks nothing like me and the script I've seen makes other people out to be heroes unjustifiably. Hard to see your own story faked. Unfortunately — proves Trump's claim of #FakeNews." Carlson can't really complain about Kidman's resemblance when Ailes is being played by ... John Lithgow, who looks absolutely nothing like him. Hollywood often makes "fake news" when it comes to political movies. When Hollywood wants to demonize someone, especially a conservative, or even anyone moderately conservative, reality takes a beating. The recent passing of former President George H. W. Bush makes you recall Oliver Stone turning him into a scowling villain in his movie "W." How must it feel to see yourself fictionalized like that? And it's only natural to become furious that some people watch fictionalized movies — deliberately fictionalized — like this and come out of the Cineplex saying "I had no idea it was like this" when it wasn't.